Reall wonderful with this special colors. So pretty, love the white, yellow and purple combination! I think I've seen this flower, but maybe a different variety - the same colors, but the white petals are shorter, and the whole flower has a symmetrical look t it. This one is beautiful though! How Lovely! Makes me think of a bride holding a bouquet. this is a gorgeous image Nick. Very original flowers ! Great photos ! Dietes is lovely and I also had it in our old garden. Easy to grow - no fuss and rewards by a long flowering period. What a marvelous Iris! Thanks for hosting Floral Friday. So many beautiful flowers to share. HI, I am joining in today because my travel tales are about Kauai's blooms. Beautiful blog you have, as well as the others I've visited here! A beautiful image of a beautiful flower! Pretty! 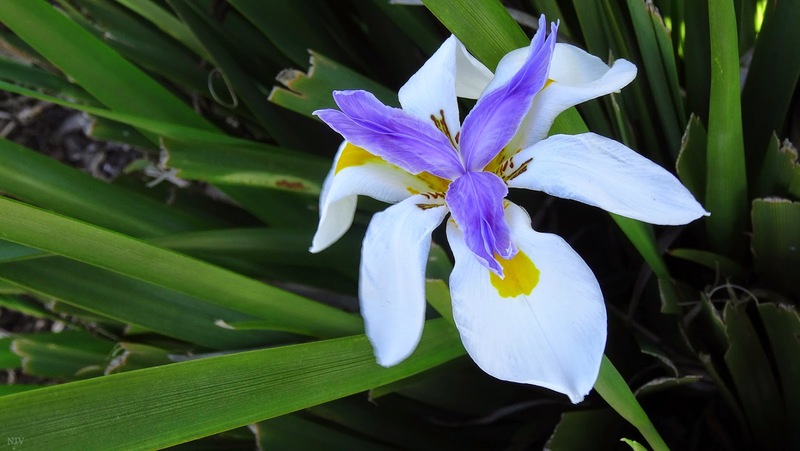 Many interesting sorts in the Iridaceae family! I have Iris but not this sort in my garden - I wish!